The Galapagos archipelago is one of the most famous groups of islands in the world. Many of the animal and plant species are unique because of the islands' isolated location in the Pacific, 1,000 kilometers off of the coast of Ecuador. The island of Daphne to the north of Santa Cruz as seen from an aircraft approaching Baltra Airport. 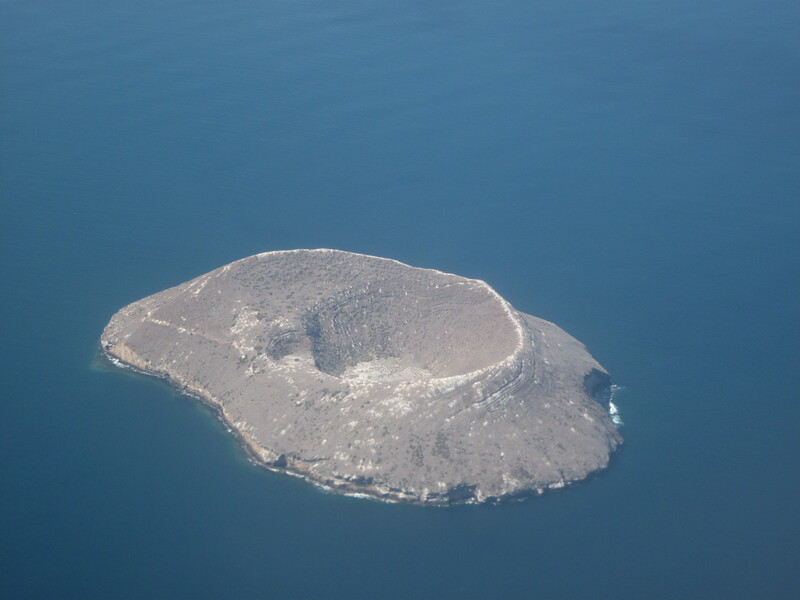 This island consists of a volcanic crater rising 120 meters above sea level. Thanks to a recently-signed special cooperation agreement, geoscientists based at Johannes Gutenberg University Mainz (JGU) in Germany will have the opportunity in coming years to research the geological development of the Galapagos Islands. An unusual mineral has recently been discovered that raises far-reaching questions about the composition of the magma source from which these oceanic islands were formed. 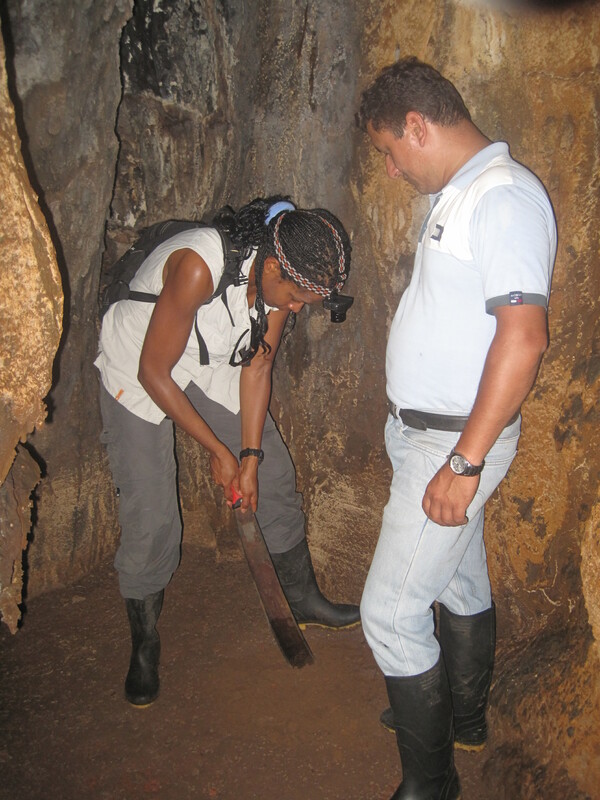 The idea for the collaboration came from geologist Dr. Yamirka Rojas-Agramonte, a member of the Isotope Geology group at JGU's Institute of Geosciences. She has been studying the ages of the rocks from various islands in the archipelago since 2014 and was astounded when she suddenly came across the mineral zircon on a sandy beach. "It is extremely unusual to find zircons in basalt rock formations, such as those that predominate throughout the Galapagos," explained Rojas-Agramonte. Zircon, a zirconium mineral, is commonly used to date ancient rocks. Zircon takes in trace amounts of uranium when it crystallizes in a newly-formed rock. Over time that uranium slowly decays to lead. The ratio between the lead formed and the uranium left can be used to determine the age of the zircon and thereby its host rock. The zircon grains, commonly less than 0.2 millimeters in size, are first investigated under the microscope in Mainz and then, if appropriate, sent to China or Australia to be analyzed using a device called a sensitive high-resolution ion microprobe. "For the purposes of so-called SHRIMP dating, we have been collaborating for many years with a lab in Beijing, the Beijing SHRIMP Center," said Professor Alfred Kröner of JGU, shortly before again departing with Galapagos zircon samples in his luggage. It has now been established that the zircon originates from young basalt rock, the main rock type that forms the Galapagos Islands. This rock is produced by volcanic eruptions such as those still occurring in the western sector of the archipelago. "Some of our newly discovered zircons are much older, however, than one would expect to find in young magmatic rock," stated Kröner. How exactly these ancient zircons got into the Galapagos basalts remains a mystery. The explanation might well have wide-ranging implications for understanding the Earth's crust-mantle system and the mantle geodynamics of the Earth. One of the current theories is that previously unexplained recycling processes might have taken place in the deep layers of the mantle. Geoscientists at Johannes Gutenberg University Mainz and their colleagues from Spain, Australia, and Ecuador working in a wide range of different disciplines will, for the first time, be collaborating in this project in order to investigate the various hypotheses and search for further pieces of the puzzle that will help provide a solution. 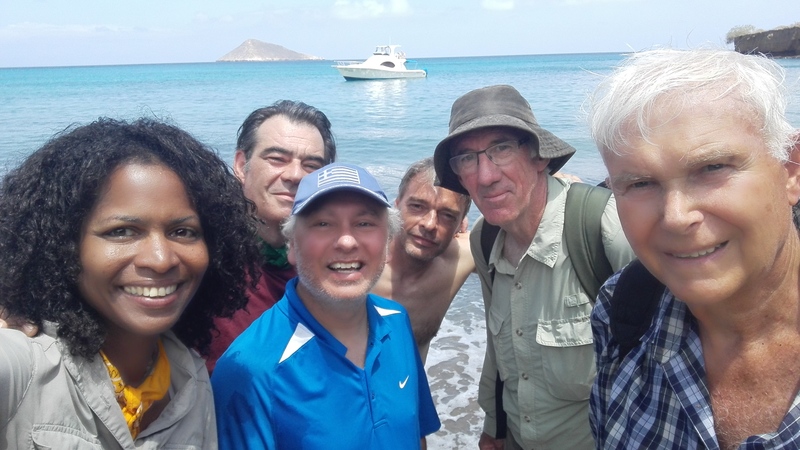 Over the next few years, they will be researching together on the Galapagos in a multi-disciplinary approach designed to explore a geological enigma, the significance of which could extend well beyond simply clarifying the formation of the Galapagos Islands. 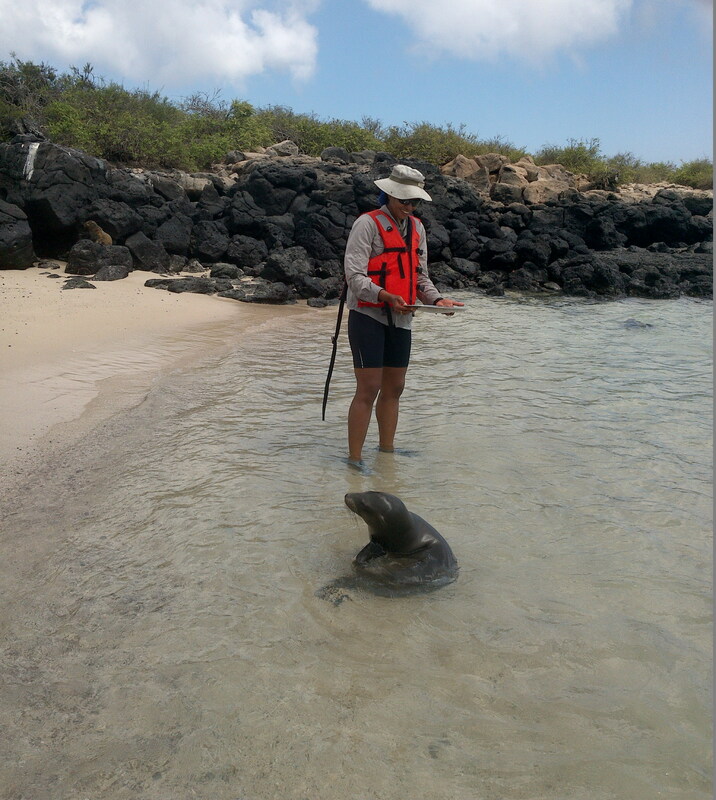 The framework cooperation agreement between Mainz University and the Galapagos National Park Directorate has an initial duration of three years to the end of 2020 and will be extended by specific agreements on individual research projects. For reasons of nature conservation, there are strict controls on access to the Galapagos Islands. In addition to Dr. Yamirka Rojas-Agramonte and Professor Alfred Kröner, sedimentologist Dr. Klemens Seelos has also been permitted to work on-site. The next expedition involving representatives of the Geophysics, Volcanology, and Petrology groups at JGU is planned for June 2019. Additional partner institutions are the University of Granada, the Australian National University, and Universidad de las Fuerzas Armadas in Quito, Ecuador. The preliminary work has been financed by the German Research Foundation (DFG) and through inner-university research funding provided by Johannes Gutenberg University Mainz. Yamirka Rojas-Agramonte at the heavy mineral concentration on Bahia Barrington beach on Santa Fé Island. Using a technique similar to that of gold panning, the heavy minerals are first extracted from the sand and concentrated. 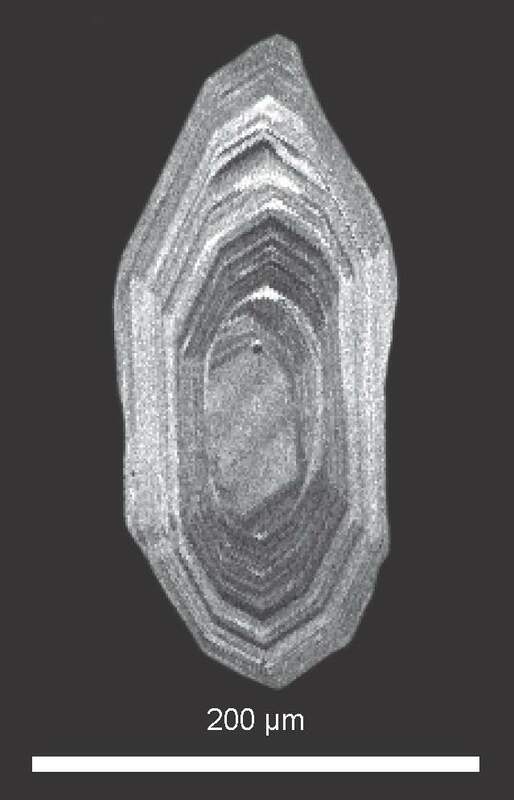 Cathode luminescence image of a typical zircon with clearly pronounced concentric zoning. This zoning is evidence of changes in the local chemical composition of the host magma during crystal formation.